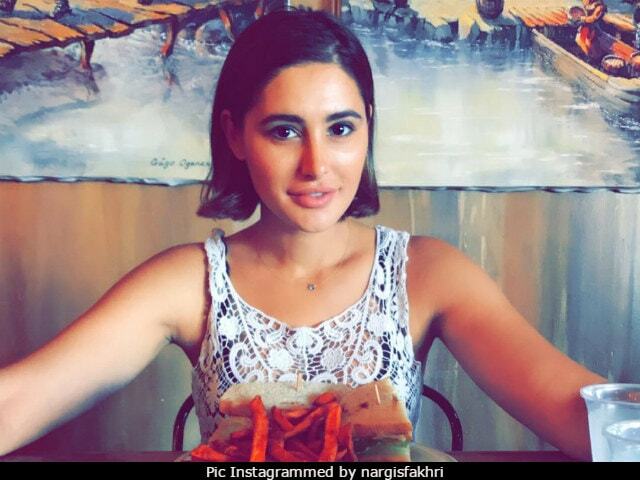 Nargis Fakhri Went Short: Seen Her New Look? Nargis Fakhri surprised her Instagram followers recently and how! On her Instagram, the actress has been posting pictures from Los Angeles, where she is currently. Her previous posts were from the Lakme Fashion Week in Mumbai, during when she walked the ramp for designer Anushree Reddy. Difference in time zones is not the only change she experienced recently - there's a marked shift in her look too. Nargis, who had long tresses, chopped her hair off and opted for a bob cut instead. Cute. She shared her new look on Instagram, writing: "Take a chance, you never know how perfect something could be," and then followed it up with more updates from her life in California. Salon trips apart, Nargis is associated with UK-based non-profit organisation One Young World and is currently busy with the OYW's Summit 2017. In the comments thread on one of her recent Instagram posts, fans and followers just can't get over how adorable she looks with the new hair style. "You look like a little girl," she was told. Comments like "Your short hair suits you", "It's simple but very Beautiful. Just Wow" and "So cute!" were also interspersed with ones like these: "Why did you do that!" Take a chance, you never know how perfect something could be! Nargis Fakhri keeps her social media profiles a low-key affair, resurfacing with interesting tweets every now and then. Earlier this year, she told us that a certain fan of Katrina Kaif approached her for a photograph mistaking Nargis as Katrina. But the fan insisted for a photograph anyway because she "looked like" Katrina. "Amazing how people just go ahead and take a picture of you not knowing who you are, even when you say no, they do it anyway. So weird," Nargis tweeted. A man just said hi Katrina can I take a pic. I said thanks but I'm not her. He said oh ok I'll take a pic of u anyway cuz u look like her. Nargis Fakhri was last seen in 2016 film Banjo and trends every now and then for dating rumours with Uday Chopra. Last year, she featured in four films - Azhar, Housefull 3 and Banjo along with a small role in Dishoom - after which she reportedly resorted to a break from acting due to exhaustion.